This crimper is an excellent tool for making children's crafts and for rubber stamping projects. 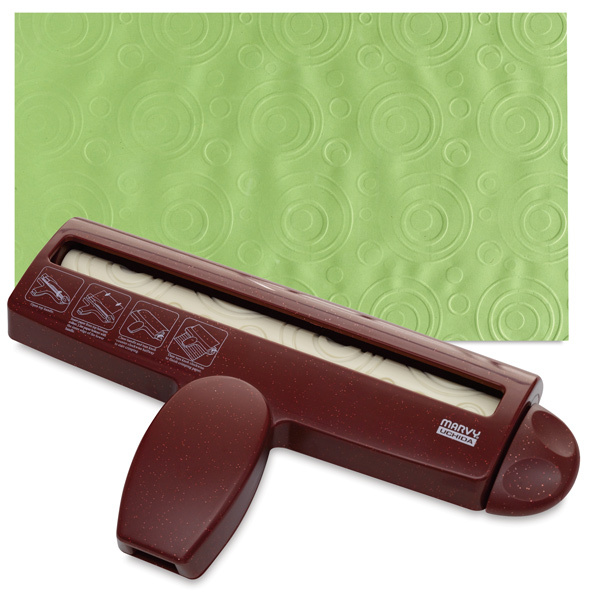 Extra-wide rollers crimp paper up to 8-1/2" (22 cm). The Marvy Uchida Corru-Gator Paper Crimper is great on foil, bond, tissue, and other materials.